An adobe home is a house made from bricks of clay and straw. These clay and straw bricks are the material known as adobe. Building homes using adobe bricks is thought to date back to about 8300 BC. 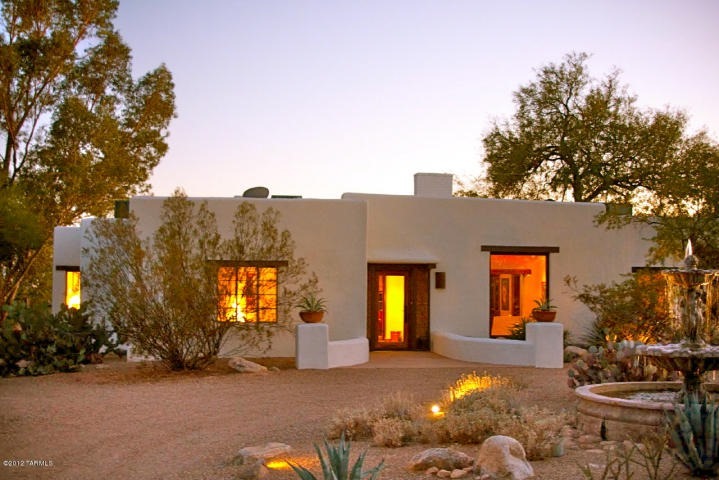 Modern adobe homes combine ancient construction ideas with new technologies and social trends. Hand-made clay and straw adobe bricks are dried in the sun. Each brick is allowed to shrink before being used for building so that shrinking and cracking do not occur in finished walls. The natural content of adobe makes it non-toxic and biodegradable which are big pluses in the modern, environmentally-conscious housing market. Adobe is also considered an inexpensive building material as well as a good fireproof sound buffer. Adobe bricks are made in many different sizes. Larger bricks may be used for walls while smaller, narrower bricks may be featured as a border wall. Mud is traditionally used as a mortar to connect the adobe bricks. Once the bricks are formed into the walls of an adobe home, more layers of mud usually cover all of the brick to give a finished look. 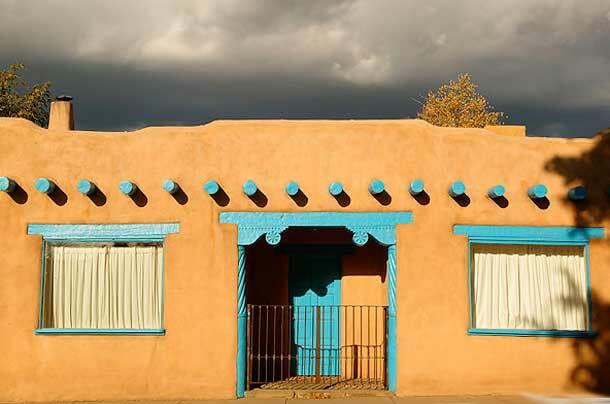 The state of New Mexico contains about a third of all adobe homes in the United States. The Spanish Pueblo style of adobe architecture is associated with the Pueblo people of the American Southwest. A Pueblo adobe home has a flat roof, wooden beams, arched doorways and rounded walls. Territorial adobe homes have the style influences of European settlers and feature straight walls rather than curved ones like the Pueblo adobe style. The Tuscan style of adobe home originated in the hillside areas of Tuscany, Italy. Classic Tuscan adobe homes feature rough textured walls, warm terra cotta colors and roofs made from terracotta tiles. Tuscan decor is often considered highly fashionable and many of today’s adobe homes in New Mexico combine elements of Tuscan, Territorial and Pueblo designs in a look called Santa Fe style. Taos Properties has been representing these classic homes for the past 20 years and have become experts in identifying the quality and workmanship of this traditional craft. We proudly represent to our clients, properties made of this native material. Once Buyer’s become familiar with the benefits of adobe and feel the organic nature of the house...they fall in love forever. Let us help find the perfect adobe home for you, here in Taos, New Mexico. the perfect home in the Taos area.